Designed to flatter straight body types, the Mazy features a waist-cinching high rise and slim fit through the hip and thigh. 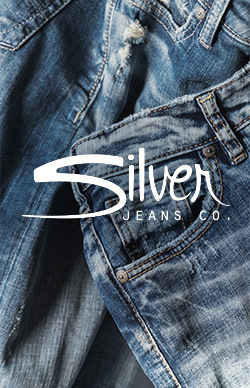 It’s crafted in stretch Fluid denim that’s ultra soft and body shaping. This black pair is finished with an ankle-length inseam, frayed hem and tonal stitching on the back pockets. Mazy Ankle Skinny Black is rated 4.7 out of 5 by 3. Rated 5 out of 5 by JTJT from Love all my silver jeans Even though I am tall and these are cut short they still fit great, the stretch in the fabric is just the right amount, the black is wonderful. Wish there were more black options- especially with bling or embroidery. Rated 4 out of 5 by aad82 from Nice for a chabge They stretched out in the waist a bit after wearing. Really soft and comfy. Slightly higher in the waist which helps hide the muffin top!